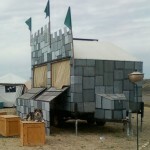 The castle is a custom built RV Trailer/Tiny Home. 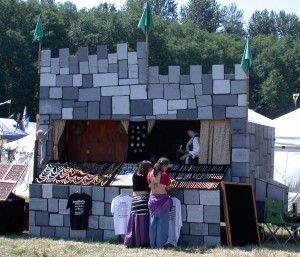 I designed the castle approximately 8 years ago while traveling full-time and selling jewelry at medieval and renaissance events. 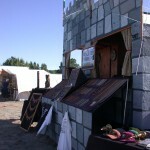 Thus the castle was designed to be a merchant booth and home as well. 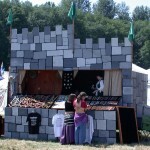 The castle features two large windows which fold open to provide a selling counter. 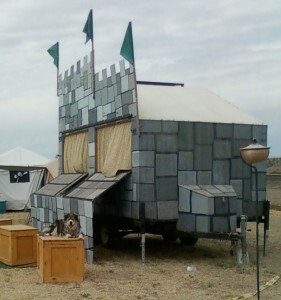 The “front” of the booth is the right side of the trailer, and has two removable “battlements” which attach with three flag poles to complete the castle facade. 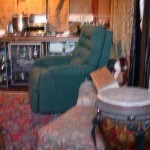 The interior of the castle is finished with fabric, and has a large kitchen area with a two burner stove and tons of counter space. 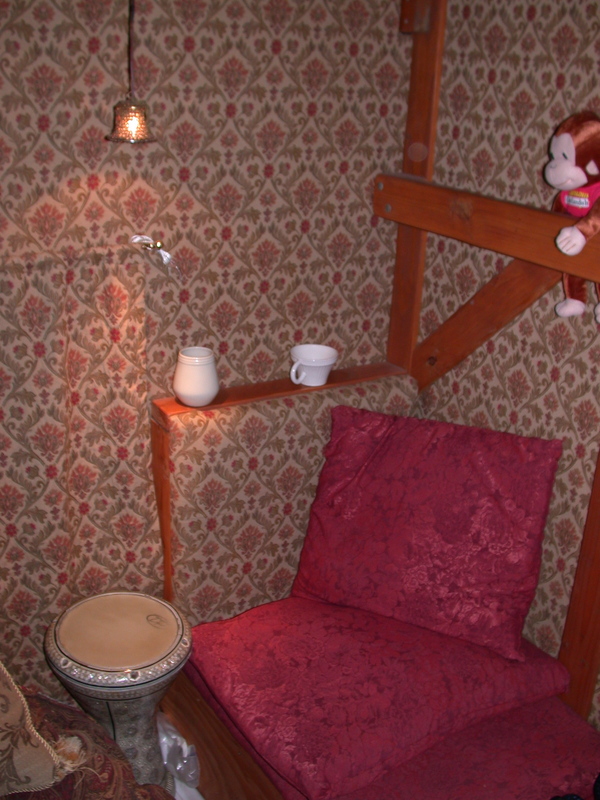 The interior design features a large walk-in closet with two dressers, and a loft bed area above. The roof is white EDPM and has two decent size solar panels which charge 4 batteries which are stored underneath the trailer. 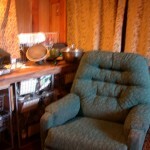 The solar system is currently setup running and can power both 12volt and 110 lighting, as well as small appliances. 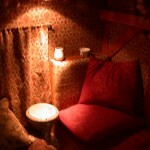 The interior also has a large fabric covered bench which opens for additional storage. 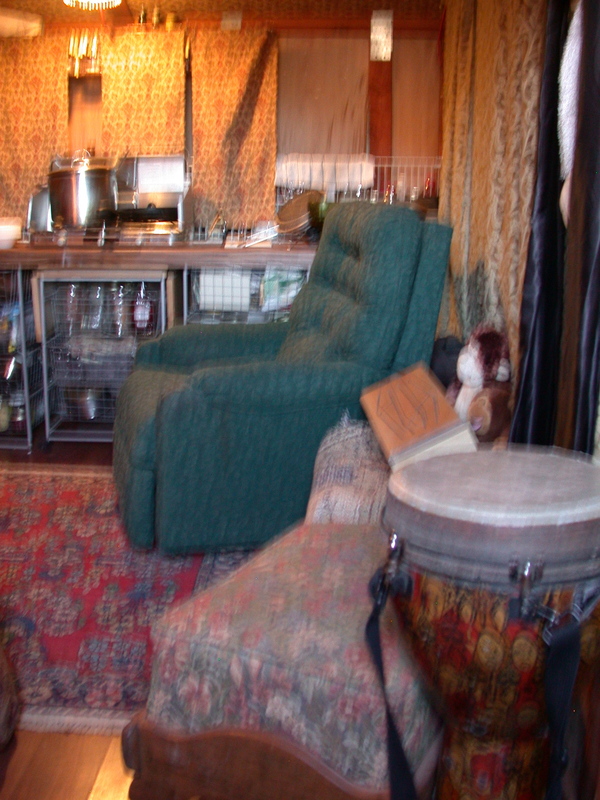 You might be wondering why I am selling it, as it is obviously a wonderful small home/rv. The answer is mildly complex, but comes down to the fact that I’m not really using it, and have only been using it for 1 event a year for the past 4 years. It really needs to see more usage than this, and needs some upkeep/TLC to keep it in happy working order, and rather than just letting it deteriorate in my driveway for another 5-10 years before I’m likely to use it again I’d rather see it go to a happy home that will give it the love it needs. The castle is currently located in Tucson Arizona, and I would prefer not to deliver it. 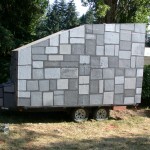 This is a heavy/large RV and will require a full-sized truck to tow it, and a diesel makes it easier. Please contact me at caris@arthouglorious.com or through the site if you are interested. 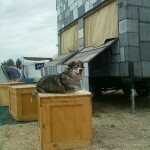 This entry was posted in Alternative Lifestyles, Travel by carisgypsy. Bookmark the permalink.